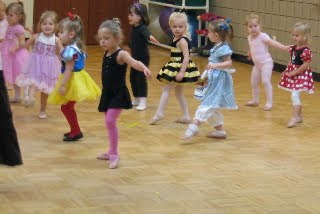 For Halloween, Avery's dance class was able to dress up for their lesson. Avery wanted nothing to do with it, I was really surprised. Her outfit could only be her pink tights and black leotard. I guess she takes dance more serious than I thought. She is so stinkin adorable!!!!! I love that she is serious about dance and can't believe she isn't wearing her blue star leotard. :) I love her!! You are so lucky to have such beautiful kiddos! So fun! 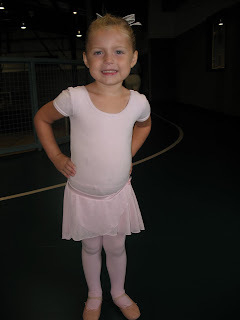 Glad she is getting some wiggles out at dance class... so fab!